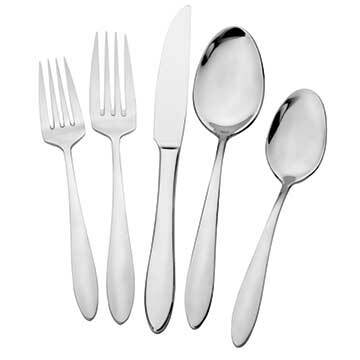 Reminiscent of Walco's Idol Chafers, the Idol Flatware Pattern is perfectly suited for use at a buffet or banquet. The overall smooth, curvy design give it a classic look while the high-arching handles make the pieces in this pattern very easy to pick up and hold. Also, the durable 18/0 stainless steel construction ensures that you will get years of use without needing replacements.